Full refunds available until March 13. Registrations are transferrable until April 6. RCR Rosebuds on scholarship, we have a limited amount of scholarship passes available.  Please email derbydaze@rosecityrollers.com to reserve your place. Final schedule of classes will be emailed to attendees by mid-March (or available at registration, if you’re registering late). Advanced: Experienced derby athlete ready to level up by trying advanced skills and learning advanced strategies and formations. RCR: Wreckers Level 3 or home team athletes. If you’re unsure of which skill level you should register for, don’t worry – just pick the best one, and we’ll conduct a quick evaluation Saturday morning of the bootcamp to ensure you’re placed in the best group for your skill level. Adults should expect their days to run 8am-4pm, with breaks for off skates class and lunch (bring your own, leave the premises or purchase the lunch add-on, it’s up to you). Juniors should expect their days to run approximately 8am-2pm. Juniors will be participating in the same programming as adults, but we’re planning shorter breaks since there is no need for junior skaters to leave the premises on breaks! Saturday night’s Sur5al tournament has been a highlight of Derby Daze for the past two years! What is a Sur5al tournament? We divvy up participants and assign you to a team of 5. Each team is anchored by at least 1 top Wheels of Justice skater! Each jam is like a mini-game – the team that wins the most jams will win the whole tournament. Space is limited so register in advance to secure your spot. Due to insurance requirements, Sur5al registration is available for ages 18+ only.